How decadent could this be? I was thinking of making a corn and crab chowder but the potatoes at the market looked so good. Why not combine the two? This turned out to be the main course, with a green salad and a side of vegetables. Place potatoes and garlic in a pot of salted water and bring to a boil. Cook until potatoes are tender. Drain and put potatoes and garlic back into pot. Add 2 Tablespoons of butter and cream and beat with a mixer. Add salt and pepper, to taste. In another saucepan heat 1 Tablespoon of butter on low, add crab just to heat through. 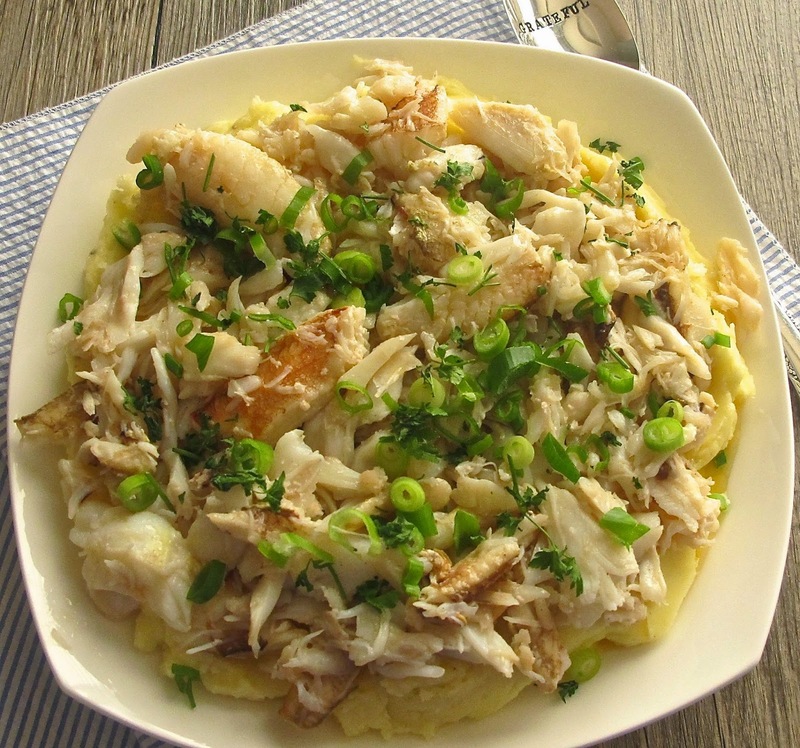 Place mashed potatoes in a serving bowl, top with crab. Sprinkle green onions and fresh parsley over top and serve.